Only a few meters from Allround Vermietung there is the B&B Hotel Frankfurt Nord if you need accomodation for the night. 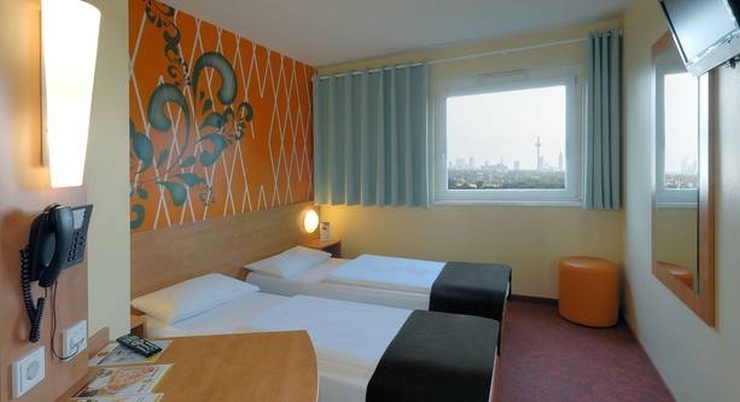 The B&B Hotel Frankfurt-Nord is located close to the motorway A5 in the northern part of Frankfurt, just 13 km from the city centre. The hotel has 100 rooms available including some with mezzanines which are very practical for families (2 adults and 2 children maximum or 3 adults) as well as disabled access rooms. All rooms are equipped with a modern bathroom, sound isolation, air conditioning, telephone, 15 TV channels as well as free access to Wi-Fi and pay TV. The team is happy to welcoming you at any time – day and night. Guests of the hotel can also return their motorbikes at the hotel.